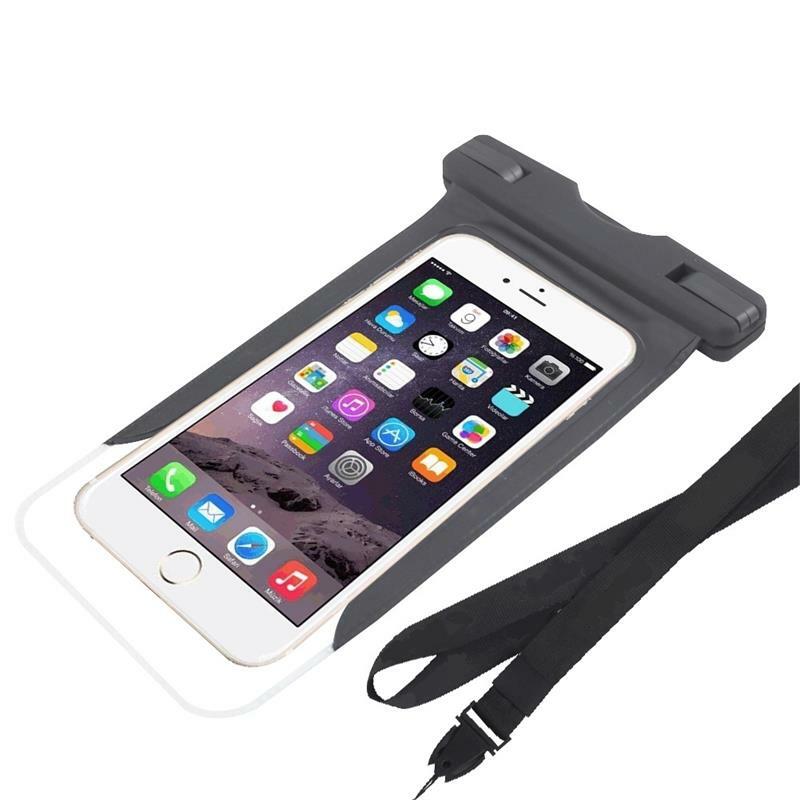 Universal Dry Bag for Apple iPhone 6/6s, iPhone 6/6s Plus, iPhone 6SE, Samsung Phones, etc. 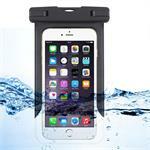 Waterproof, Dust/Dirt Proof, Snowproof Pouch for Cell Phone up to 6 inches. Waterproof, Dustproof, Sandproof, waterproof design. Waterproof to 10 meter deep. Perfect for underwater pictures and video. 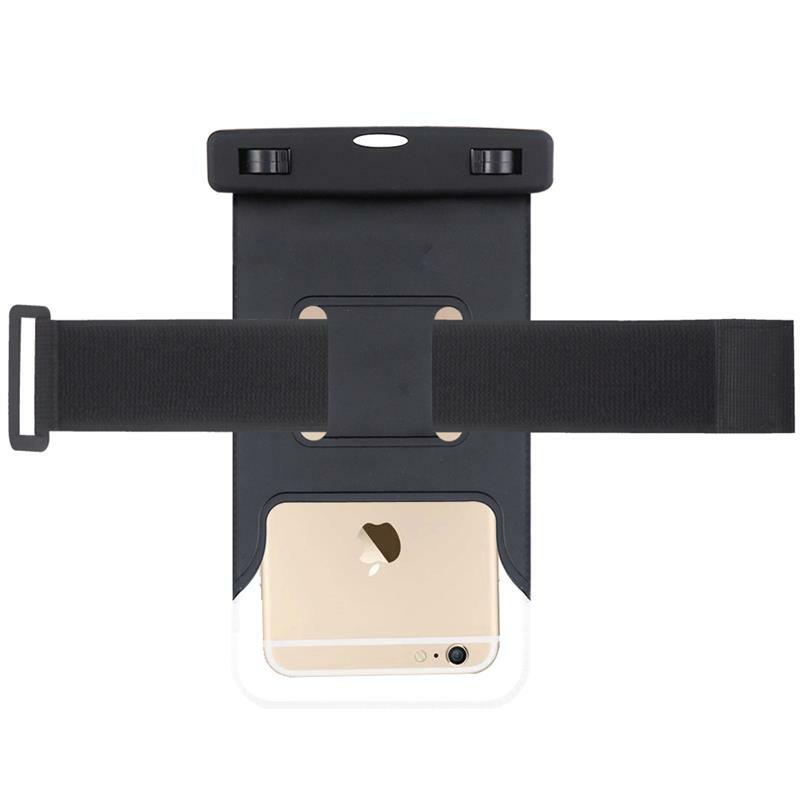 Universal Size - Fits all the mobile phones up to 6" diagonal, including Apple iPhone 6/6S, 6/6S Plus, Samsung Galaxy S6 Edge. 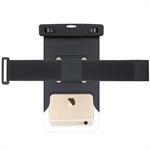 Easily allows photography, videography, and touch operation. Adjustable armband, making you unaffected by the rain or sweat when moving and climbing. The versatile Universal Waterproof Case Bag fits all devices up to six inches diagonal, including Smartphones, iPhone 6/6s, iPhone 6/6s Plus, iPhone 6SE, Samsung Galaxy S6, Sony, HTC, LG, Motorola, Nokia, and Blackberry. Enjoy your active lifestyle without worrying about harming your device as the case bag protects your phone or device from elements such as water , dirt, dust, sand. Features secure swivel lock, and dual-sided clear windows providing security, dependability, and ease of use. Allows you to snap photos, send texts, or respond to emails without removing your device from the case bag.